Author note: This spread is perfect to top toast or Angel Food Cake (click here for recipe). Read more about this delicious summer time recipe in The Dallas Morning News (click here for the full story). Put the strawberries and sugar in a medium bowl. Stir well to combine. Set aside in the fridge for 30 to 45 minutes. Remove the strawberries from the fridge, and with a potato masher (or fork), mash the strawberries until smooth. Fold in the mascarpone, cinnamon, salt and cognac (if using). Stir well to incorporate. Store in an airtight container in the fridge. 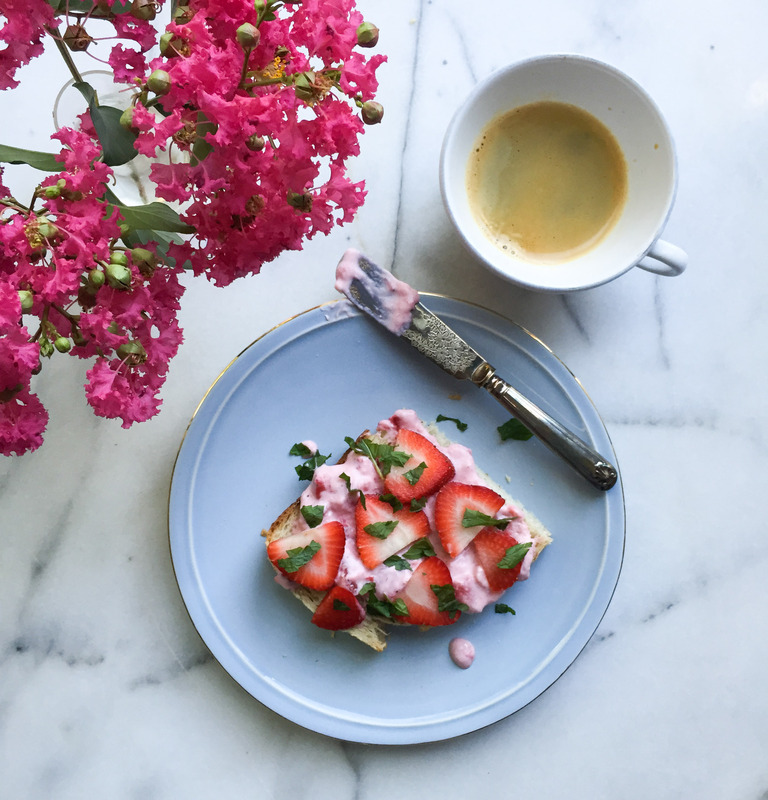 Serve on top of toasted, crusty bread with strawberries and mint. This entry was tagged dallas blogger, dallas food blog, dallas food blogger, mascarpone recipe, mascarpone toast recipe, strawberries, Strawberry, strawberry cinnamon mascarpone spread, strawberry cinnamon mascarpone spread recipe, strawberry toast recipe, texas food blog, texas food blogger. Bookmark the permalink.